Antique Reclaimed Terracotta / Custom Inserts. 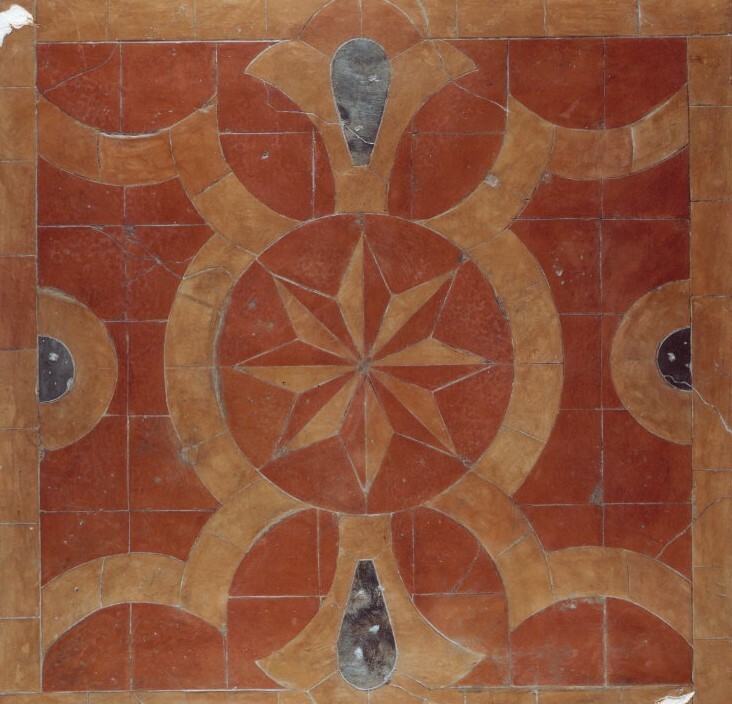 Assorted design achieved mixing antique terra cotta, limestone, decorative tiles and mosaics in different shapes and sizes. Shape and sizes are completely custom made to fit your space . 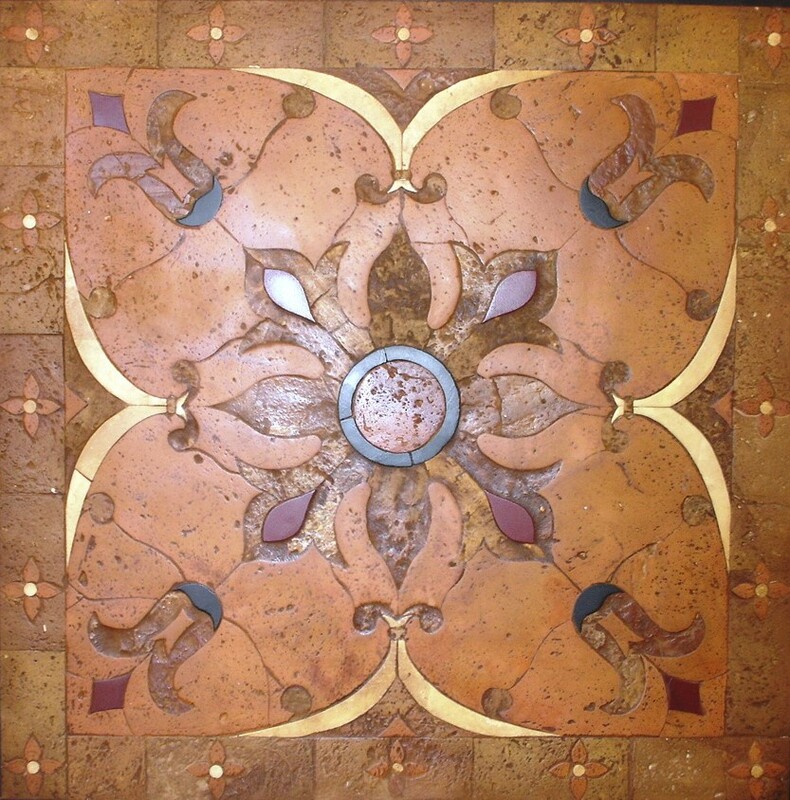 Frequently used for Entryways , Vestibules , Powder rooms and any room where you want that extra special touch .